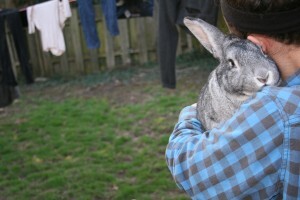 Several months ago, Rosie from Quiet Owl Farm stopped by my blog and asked if I’d mind adding her to the list of farm blogs I have here. It took me a bit to get around to updating it, but since there, I have enjoyed checking out her story of building toward a farm in Hillsboro, Oregon. 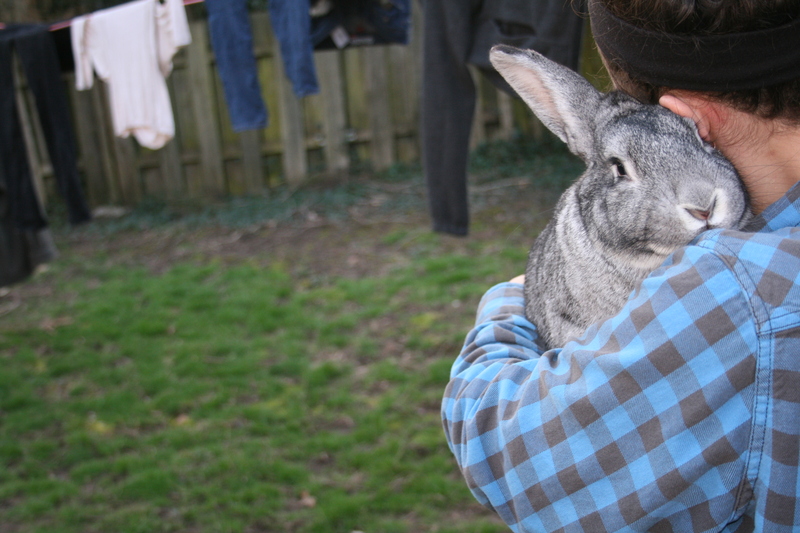 I raise American Chinchilla heritage meat rabbits for our own use and I hope to sell some soon for people interested in them for either meat or pet purposes. I want to learn how to process the meat and hides myself. I also grow a mixed vegetable garden and have an out of control herb bed. “Farm” is a big word for me right now, but it sure has a nice ring to it. I have a small backyard setup, but my dream is to expand into a full-time diversified family farm and homestead operation. 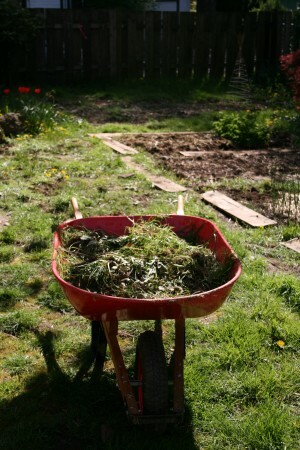 When originally seeking inspiration on how to get started backyard farming I kept coming across beautiful, interesting blogs following the lives of hobby farmers who ran the kind of successful operations I aspire to have someday. However, they could be really hard to relate to. I found that the folks running these operations were often choosing to do so after quitting *relatively* lucrative day jobs to pursue hobby farm dreams. While that is awesome, the fact that they came from a completely different age and economic demographic made a lot of the advice irrelevant. I found very few people farming in my situation–renting with significant student loan debt and working 40+ hours a week outside the home. Quiet Owl Farm is unique because it seeks to fill that gap and provide a perspective on farming not often seen in the online world. I hope that the mistakes, successes and everything in between on Quiet Owl Farm will show a more relatable side of farming to people who are in similar economic circumstances and have similar dreams. My first paid job when I was 15 was working on a family friend’s organic vegetable farm picking veggies. It was awesome! I spent my days outside, got fed amazing Mexican food all the time, and went home with delicious produce. It’s funny looking back on that job now and realizing that it’s one of the best I’ve had. On the animal side of things, I was involved with horse 4-H for many years from elementary through high school. Woohoo! 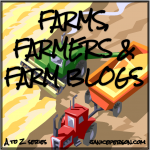 The Farms, Farmers and Farm Blogs in this A to Z series is STILL on track! There remains one hole…. I haven’t been able to find a farm for X yet… So if you know one, PLEASE help me out and share some info! If not, feel free to share something that this or a previous post made you pause over.